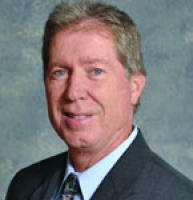 First Rate Financial Group has been led by President and CEO John C. Cofiell since 2004. Feeling that our clients need an advocate and counselor to help guide them in one of the largest investments they will make in their lifetime, John created a company that is built on the reputation of taking care of its clients and meeting their financial goals. In an industry that has gone through amazing changes, John has been able to successfully guide First Rate Financial Group to better provide for its clients by staying ahead of those changes. As the President of First Rate Financial Group, John is committed to creating “Lifelong Clients”. John has been an integral part of the Mortgage Industry since 1987 after beginning his career as a loan officer with a major bank in Southern California. John’s dedication to providing exceptional service, along with his extensive knowledge and experience, keeps his clients coming back and happy to refer him to others. Providing a loan to a client is just the start of a financial relationship. John loves to see his clients succeed in their financial goals and is happy to help in structuring their debt to meet those goals. He works hand-in-hand with many CPAs and Financial Planners to ensure that the client is heading toward financial freedom.